It is possible to evolve top-teams for the twenty-first century, even in today’s turbulent and challenging times. Achieving high performance at the most senior executive level of company divisions and business units requires a team to engage in an alignment process that takes time, focus and personal commitment. The task is not an onerous one, though it does require a clear mindset and a sharpening of skills and capabilities that go beyond many executives’ previous individual business achievements. 1. Authenticity—Individual congruence of thought, speech and action for each individual. 2. 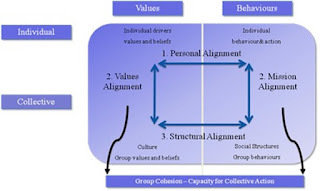 Alignment—Working effectively as a group. Overcoming different agendas and investing in each other’s success. 3. Action—Contribution to the outside world. A strategic dialogue leading to a common agenda, support structure and collaborative actions. 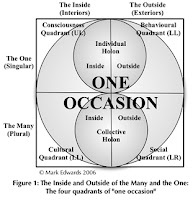 This article describes top team development as reflected in three concentric circles, that represent stages towards optimal collaboration. 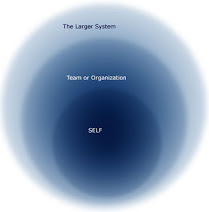 These stages are not linear or independent, yet they are interdependent, impacting on the individual, the team and on the organisation. PLEUNTJE VAN MEER is an economist and political scientist who entered the financial industry in 1993, working in Management Development and Change Management. She has worked as a facilitator of change and transformation for over a decade, and founded her own company in 2001.